If I asked you what one thing you would change about yourself, what would it be? To lose weight? If so, you’d be in good company. That’s because, nine times out of 10, the reason people give for seeking my help, is to lose weight. But when they first come to see me, and tell me that, some get quite a shock. That’s because I don’t usually take this kind of response at face value and am likely to start off giving them a bit of a grilling instead! From experience, I know that establishing the reasons why someone wants to lose weight or get fitter is the most important first step. To be able to help them properly, I need to understand the background. Issues like excess weight are usually just a symptom of something else. Often when I probe a bit more, they’ll tell me they feel unhappy with their shape because it’s affecting their relationships with others, or their ability to do the things they love. Or perhaps they just feel generally rubbish and want to change that, in order to get more out of their lives. Once someone opens up, and we understand the real issue, we can get to work. The things that matter to them – their ‘why’ – are what will drive them to succeed during their programme with me. Once we’ve established these important facts, the next step involves creating their individual fitness ‘roadmap’. I look at their overall health, including factors like body mass index ratio, which helps us set the right goals in terms of their optimum size and shape. I then carry out a metabolic rate analysis, to work out how much they should be eating, in order to get there. And that’s when the fun begins! 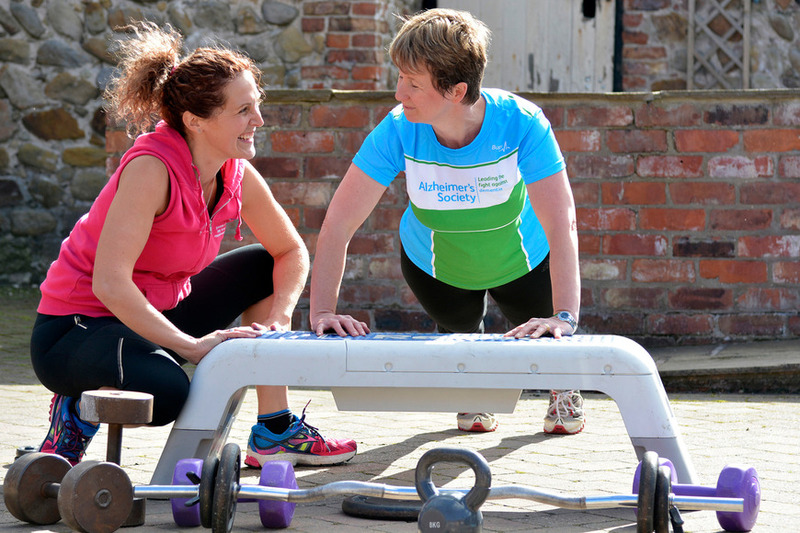 One of the things I offer is a 12-week, personalised personal training programme. This sees me visiting people two or three times a week, to take them through tailored exercises. These alternate between cardiovascular fitness, weight training and strength bearing moves, to keep it interesting and avoid their body going into ‘cruise control’, which can lessen the impact any work they do. We gradually step up the intensity week after week. Knowing someone’s motivations helps me to push them in the right ways and I always find that they are pleasantly surprised by what they are capable of. What usually happens too – which is perhaps the most rewarding thing of all for me as well as them – is that our weekly sessions become valuable time out for the person I’m training. Not just for exercising, which is therapeutic in itself, but also to work through some of the demons which led them to gain weight in the first place. It’s amazing what problems you can solve during an intensive one-hour training session! Not only that, but the clarity of thought it gives you is something else. Many people suddenly find the answers to issues or problems they’ve been wrestling with for ages. I can’t promise this will happen every single time, but it’s usually a happy side effect. Once you’ve stepped out of your comfort zone, what’s to stop you going even further? Very often, my training opens new doors and motivates people to challenge themselves even more. One such example is Chrysta Newman, who owns the award-winning Village Farm B&B in Skipsea, East Yorkshire. Like many others, Chrysta came to me because she wanted to feel good about herself again. 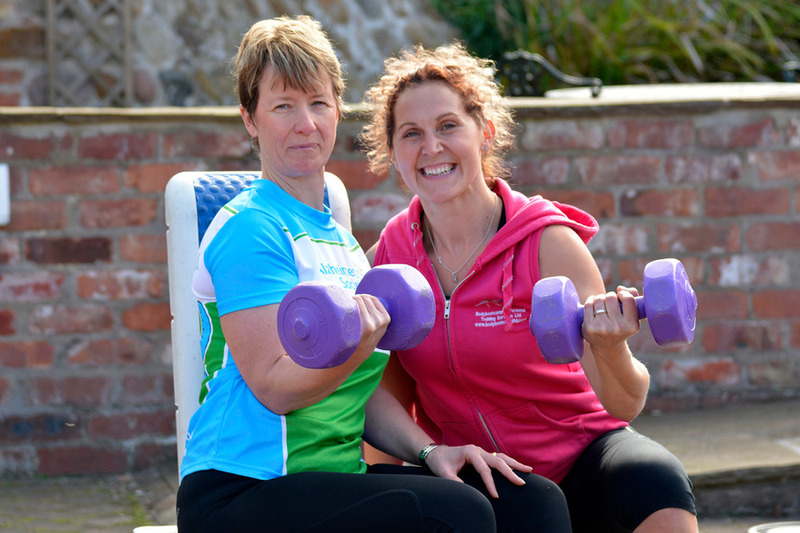 The confidence she has gained through getting fitter and losing two stones in six months, has inspired her to take on a once-in-a-lifetime challenge. Walking the Great Wall of China, to raise funds for the Alzheimer’s Society. She said: “I moved from London to Yorkshire to run the B&B six years ago, and things were pretty full on. But six months ago I realised I needed to grab my health by the scruff of the neck and invest in me too. I felt unhappy with the way I was and I was struggling to cope with the pace and stress of running the B&B. Chrysta’s story was recently featured in her local Hull Daily Mail newspaper – click here to read the full article. Think you need to make a change? Does your level of physical fitness limit the things you’re able to do? Could you feel better and more confident about yourself? Is your body image less positive than you’d like it to be? If you answer ‘yes’ to at least of these three questions, chances are you do. Why not contact me on 07942 897323 for an informal chat?